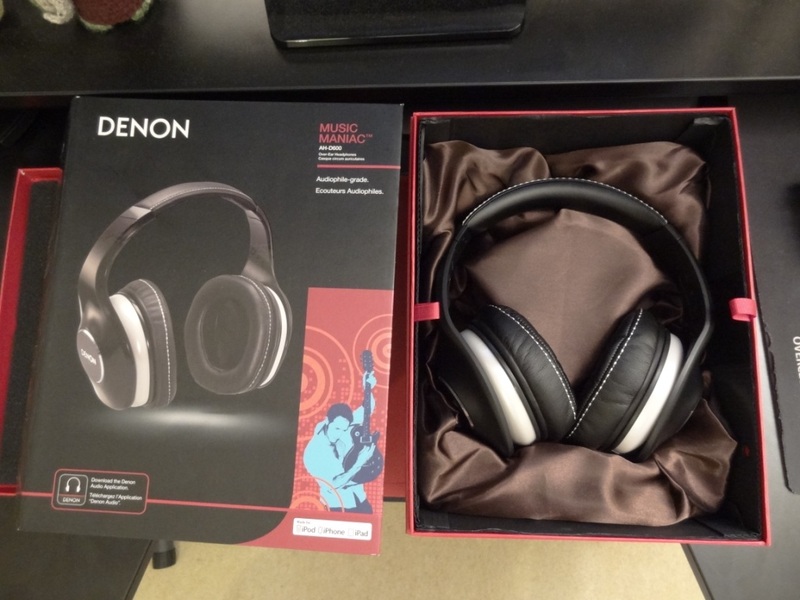 I received the Denon AH-D600 headphones from Little Red Rooster PR. I should note that the pair I received had an acknowledged defect in the headband. I mentioned this to the PR agency via a private YouTube video and they did state: “It isn’t supposed to be like that” – I waited over 6 months to receive a replacement pair, and after persistent asking I never received another D600 pair. My experience with the PR agency was horrible and turned sour very quickly (as they wanted glowing reviews and not honest ones). I’m a man of principle and always stick to my word when it comes to producing honest reviews. If this means losing a PR contact, then so be it. I won’t ever be “bought out” by any PR agency, nor will I succumb to someone preventing me from completing my review. What I’m trying to say is: I received a defective pair (build quality wise) – however decided to mention it in my review and NOT direct my review into a negative spiral. 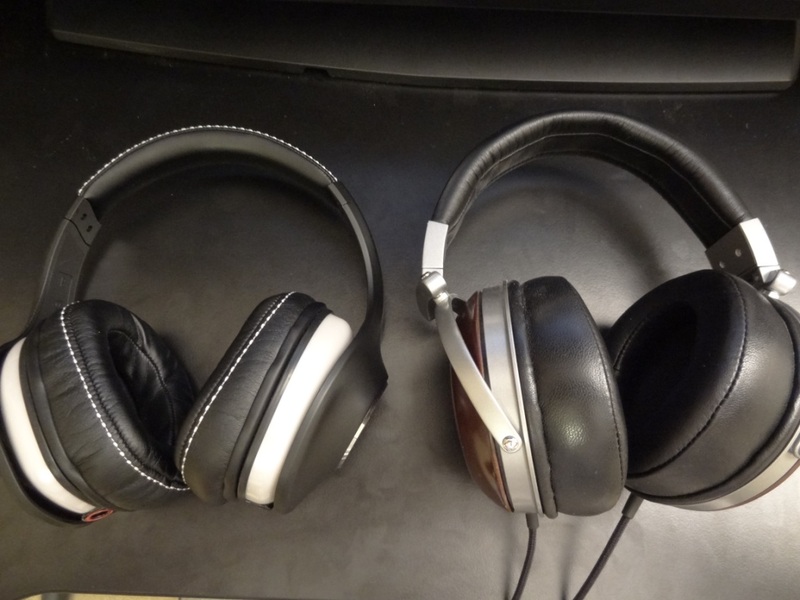 Just because I received a defective pair, doesn’t mean the headphone should be slandered – but instead it should be mentioned so that consumers are aware of the flaws of the headphones. The PR agency on the other hand – I would strongly suggest against (I wasn’t the only one that had a negative experience with them) and I’m surprised they’ve got such a major brand like Denon under their belt. 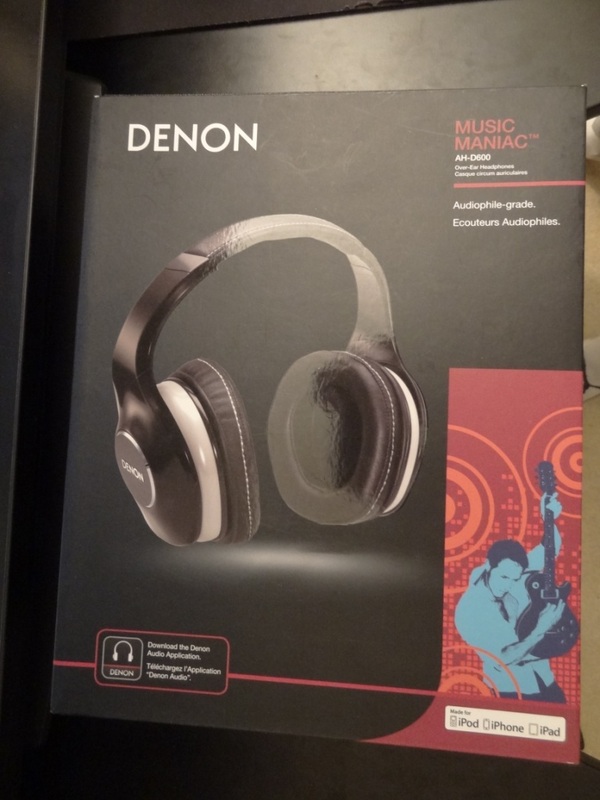 I’ve dealt previously with Denon, directly via their marketing manager (which unfortunately left Denon) and had an amazing experience with them. Thus, my regards fro Denon hasn’t really dropped – but the quality of their headphones on the other hand will be discussed in this review. Especially in comparison to the older line, more specifically the (modded) Denon AH-D2000 that I happen to own, use and have reviewed. You can purchase the D600’s from AmazonUK for around £200 & AmazonUSA for $280. With that introduction aside, let’s get into this written review! The packaging of the Denon AH-D600 is a testament to the quality of the Denon brand. I previously saw the same packaging in the C400 earphones and the NCW-500 Bluetooth headphones by Denon. The same packaging has been used for the D600s. It’s a nice touch by Denon and I’m glad they kept a consistent quality through their range. The accessories provided were excellent. The pouch provides that extra little of protection when taking the headphones on the go. I struggle to think why some other manufacturers leave the pouch out of the equation, or even some sort of carrying case that allows you to take your headphones safely from one point to another. A simple pouch, like the one Denon provided is more than sufficient. 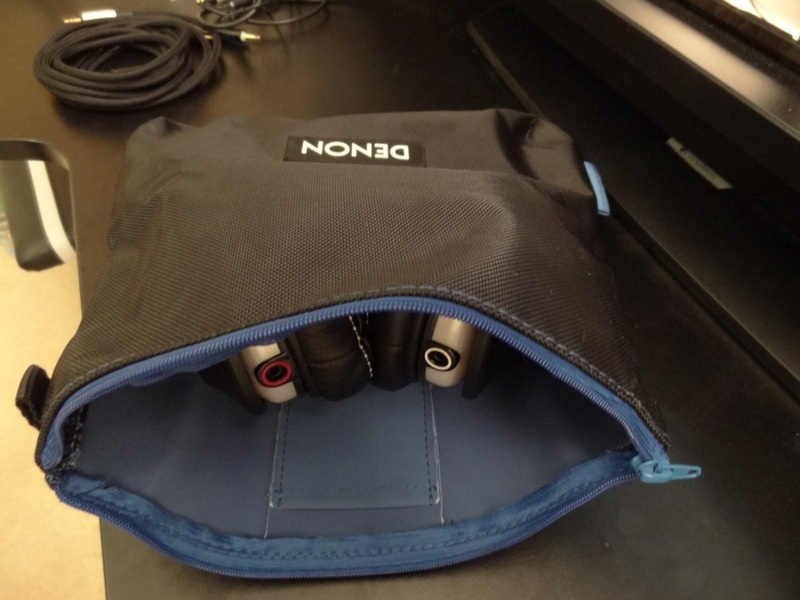 I actually quite liked the Denon pouch as it had that premium quality feel to it. In the package you also get two cables (one that’s designed for home use, the other portable use), a 1/4″ adapter and finally a clip. 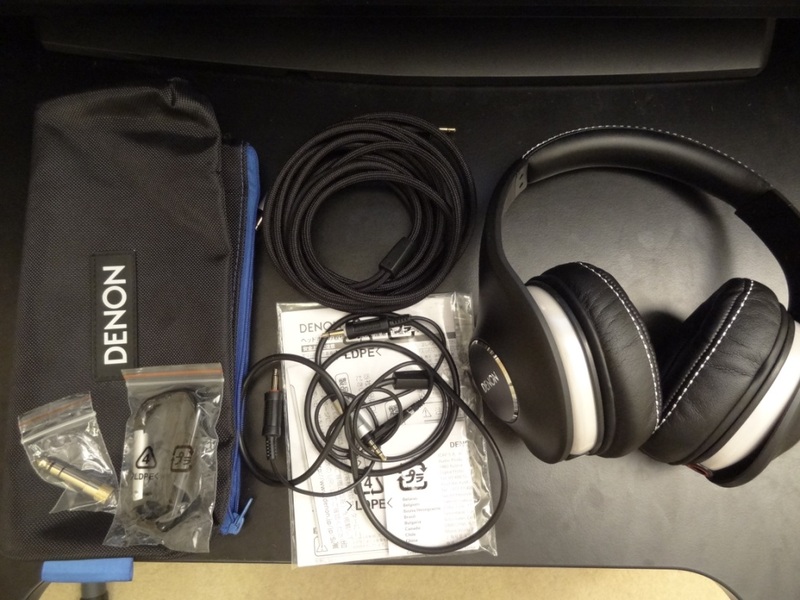 Overall, the accessories are excellent, and Denon did put some thought into it. However I was slightly disappointed to find the cable that was made for on-the-go was primarily designed for iDevices. Thus it would have been nice if they had a similar cable included aimed at Android devices. Despite the cable working on Android devices, not all the features really worked. My first impressions were extremely positive. Everything included was a huge step forward from what it used to be in the older models. Even the “premium looking” inner packaging reminded me of the top-end D7000’s inner packaging. It’s clear that Denon put the effort in here and it sure paid off. The build quality is hit and miss and also worrying at the same time. First I’ll mention what I liked about the build quality. One of the biggest complaints about the older Denon line was the wire that was included. 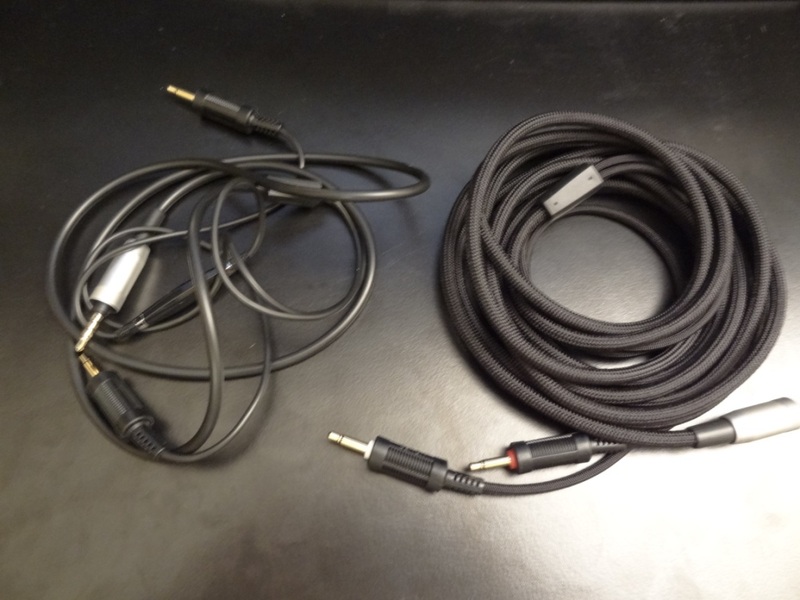 In fact there was a lot of people (myself included) that decided to re-cable their old Denon headphones. So, what has this got to do with the new D600? It’s quite simple – Denon either realised their old cables weren’t vastly liked by everyone or that they wanted to give users the ability to prolong the use of their new purchase. Whichever the reason might be, it caused Denon to create a D600 with removable cables. 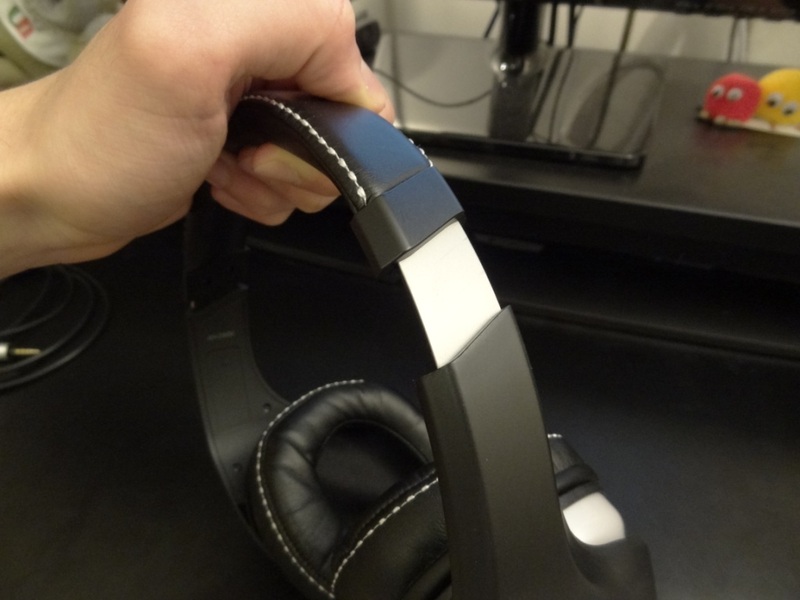 This allowed users to exchange wires easily and have more options when using their headphones in various ways. 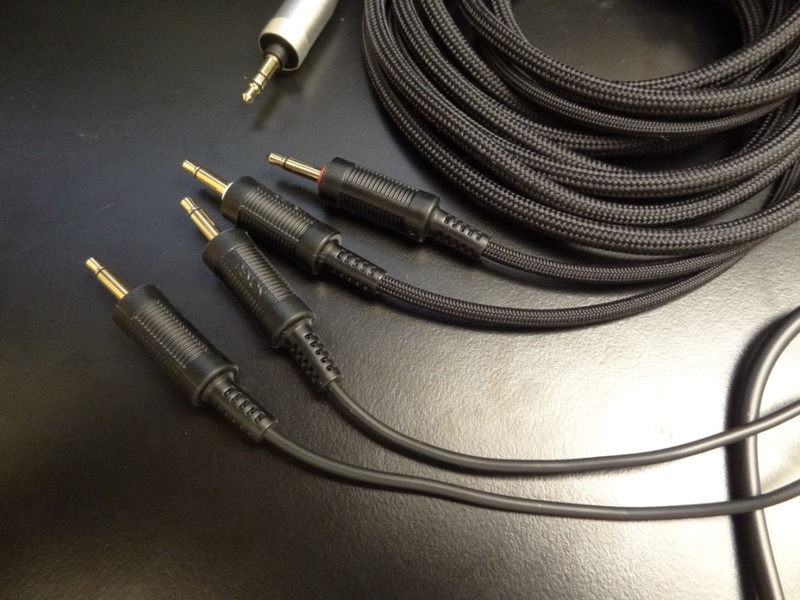 Denon included two cables: A long, made-for home use cable and a short, made-for “portable” use cable. The long cable is excellent and is an improvement to the old D2000 cable. It doesn’t wrinkle like the older cable used to do and seemed to be relatively tangle-free. With that said, it is an extremely long cable, just like the older range was. 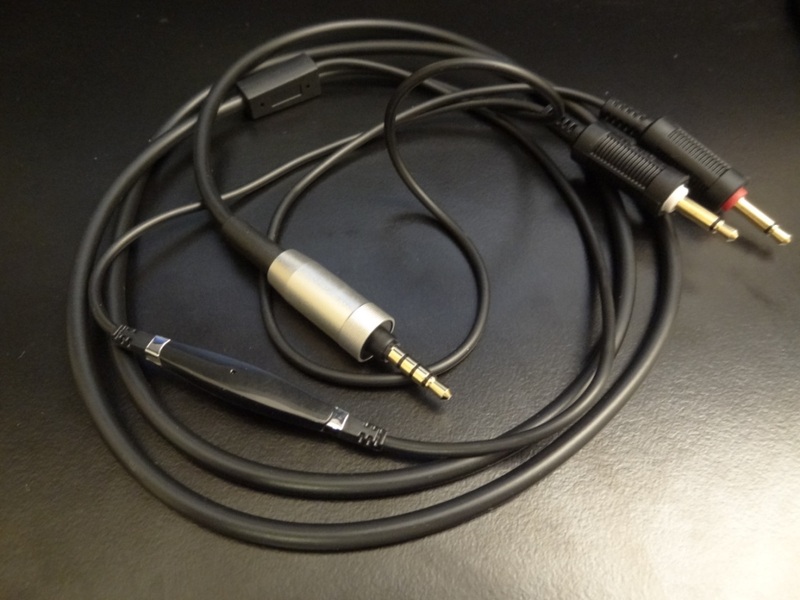 The cable that’s made for home-use is 3m long – which I’m sure anyone will agree is very long for a headphone. With that said, some people will appreciate the long length and others (like myself) will find it a little bit of a nuisance to have it that long. 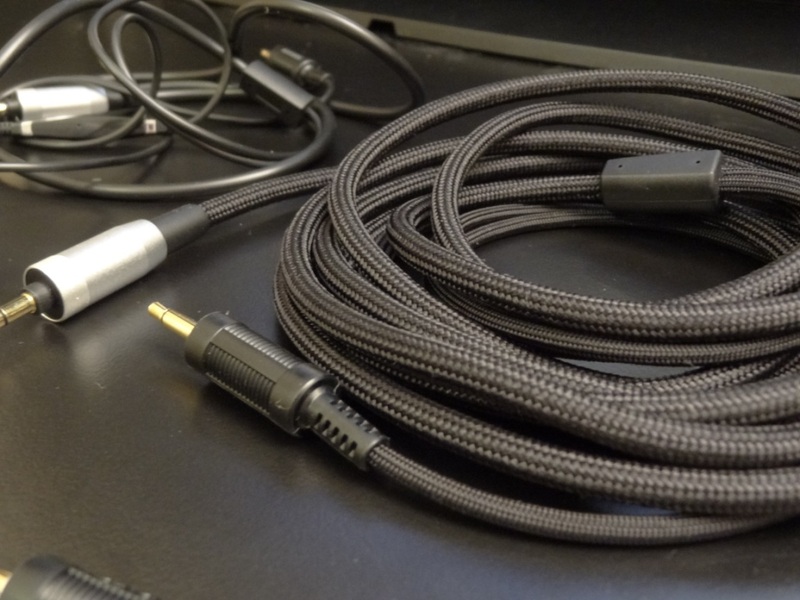 The shorter cable at 1.3m is an iDevice microphone cable. This works flawlessly with Apple devices, however with Android devices (like the Samsung Galaxy S3) it doesn’t work as it would do on Apple devices. For example, the volume keys don’t work – and only the play/pause button work. On older Android devices, like the Samsung Galaxy S1 the wire doesn’t work at all (unless you hold down the mic button to get your sound out) – thus the short cable is useful to some extent but can also be a little limited for other devices. I still don’t understand why a lot of things are made for Apple devices, when Android has the most market share. 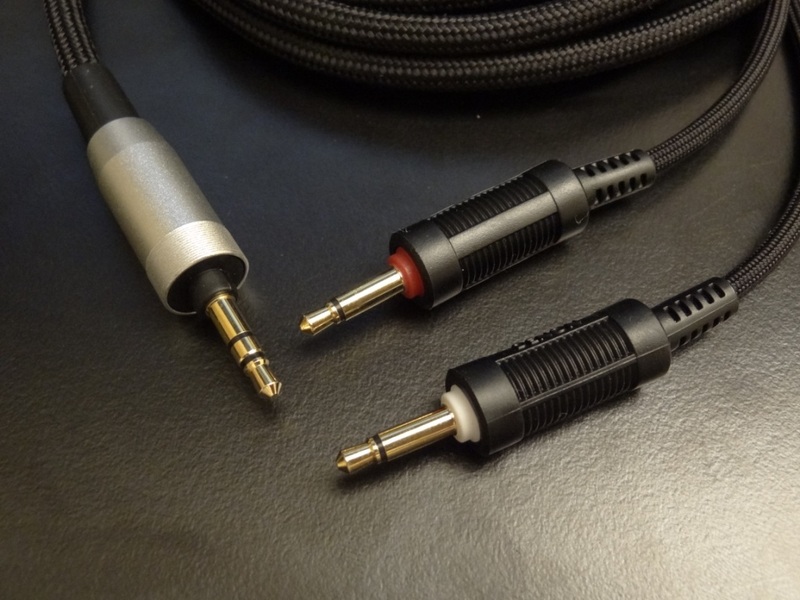 Anyway, moving on from the choice of cable, the two cables provided are both terminated by a straight 3.5mm gold plated jack. The jack itself is quite large – thus for the shorter cable you should be wary if you’ve got a phone case. 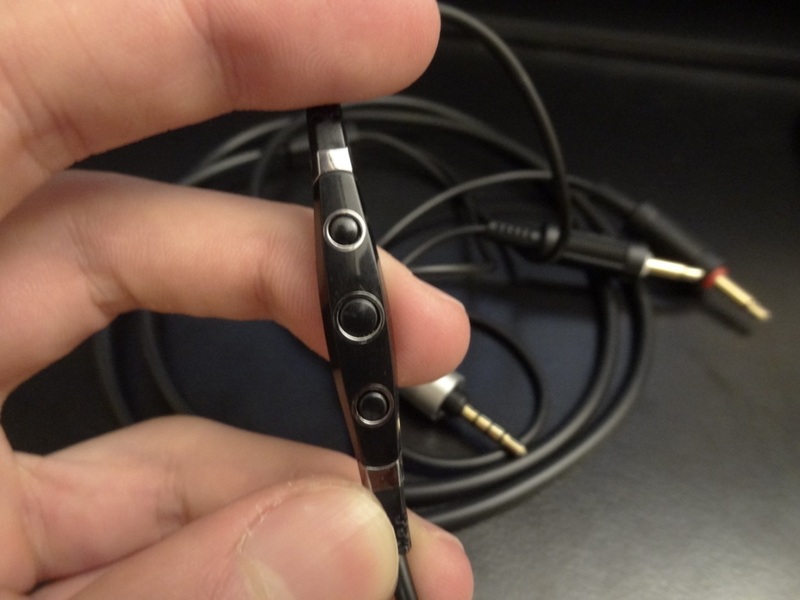 The wires connect into the headphone via a 3.5mm socket that’s located at the bottom of the headphones. They are clearly both indicated to make it easy to know which side goes where. 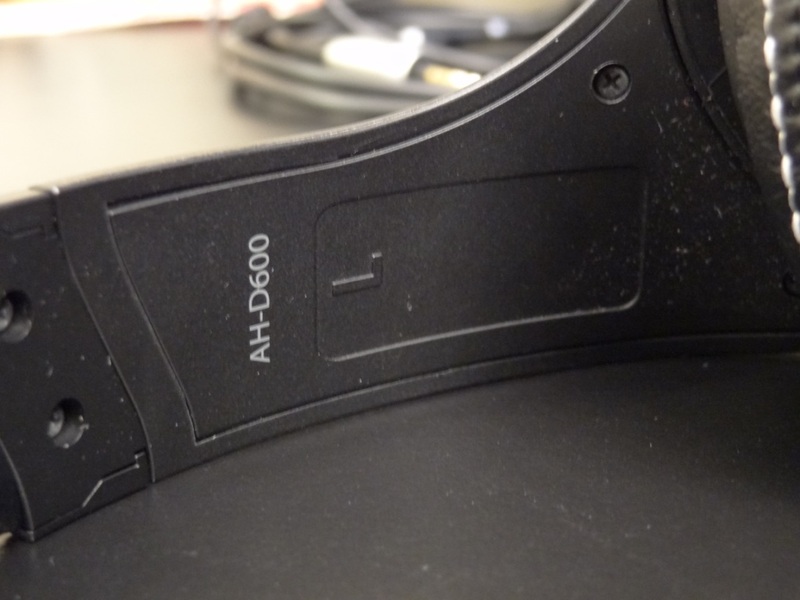 On the subject of side indicators, the headphones also have a left and right indicator located within the headband construction. 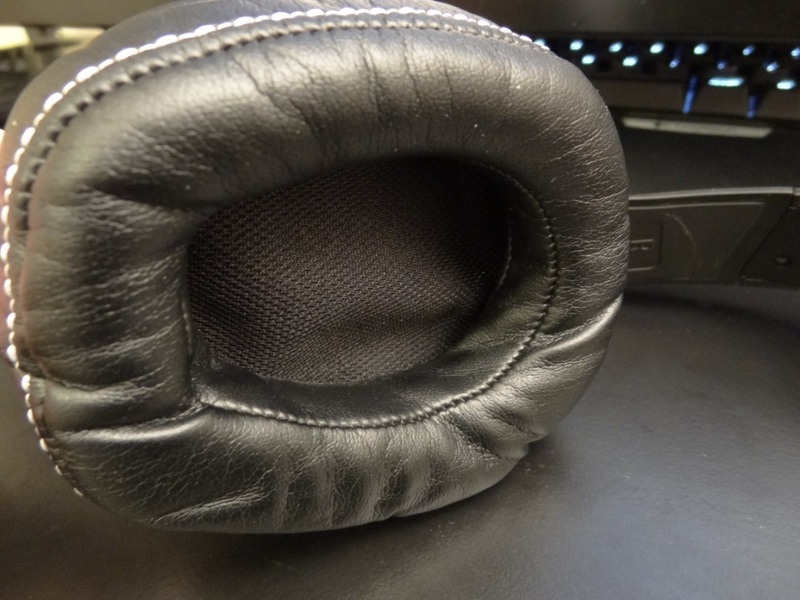 Finally, the last positive note I found of the headphone’s build quality was the padding the headphones had. Both the ear pads, that sit around your ears are soft and so is the top of the headband. Where, in comparison to the old line provide that extra bit of comfort. More on the comfort, later in my review. Now unto the negative parts of the build quality and the reason I mentioned it in the introduction. First of all, the materials used for the headphones feel a little cheap (something I’ll allude to in the “look” section of my review). I don’t really get this sense of “premium” quality as I did when holding the older Denon headphones. To add to this, the headband assembly on my unit was loose. 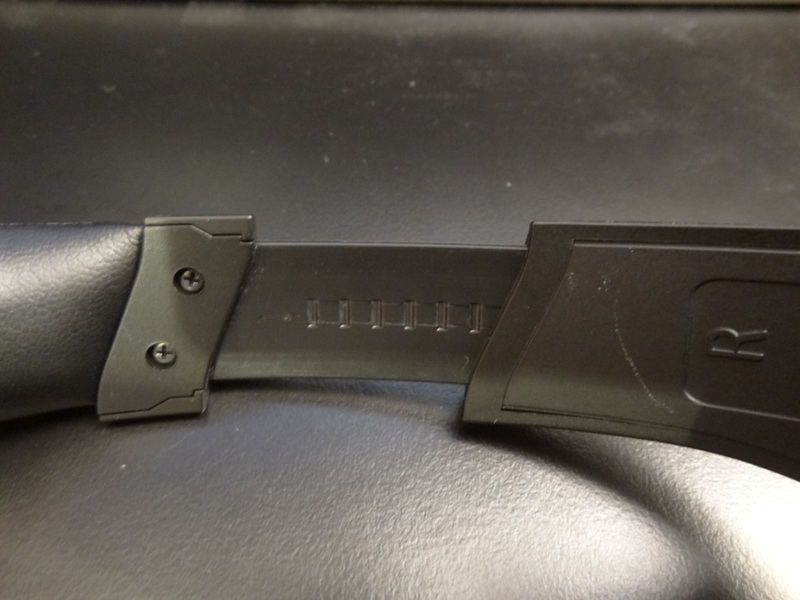 Thus on one side, the headband wouldn’t stick to the desired position as it was too loose to do so. This wasn’t a problem I’ve ever read or had in the older line of Denon headphones. By all means there were people breaking their headphones and the headphone assembly becoming loose over a prolonged amount of usage. But, I have yet to hear anyone owning the older line of headphones, having to return their headphones, right out the box, for a poorly made headband assembly. The D401’s were never reviewed and were returned. 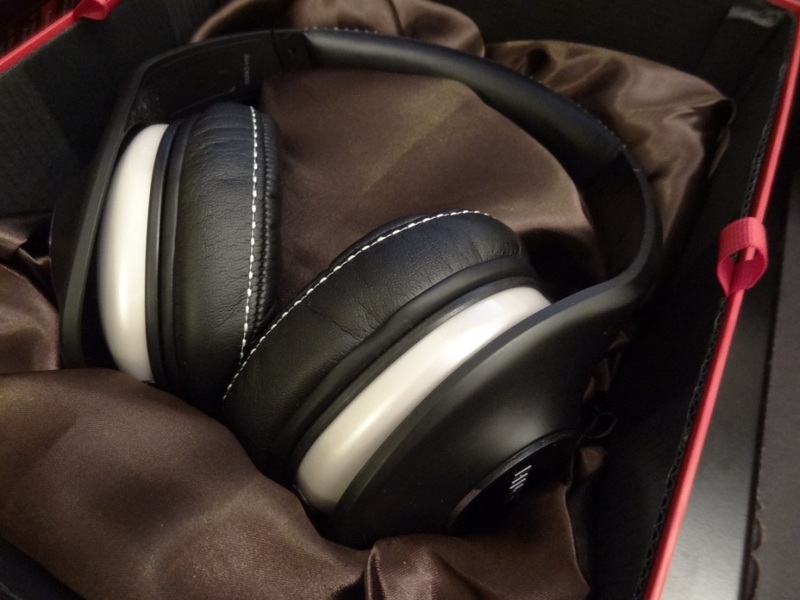 I never received another pair of those, but that poor experience coupled with the D600 one, really made me worry about Denon’s “premium” quality brand. Denon is well known for making high-end audio gear and this was a very poor image they were displaying to me. Granted, I was probably unlucky 2/2 times, but that’s more times than it should have been, especially from their higher-tier D600 model. I also do understand that some other reviewer could have been rather harsh in the handling of the headphones, but the headphones themselves looked relatively untouched – as in there were no clear signs of it being dropped or abused. Just that loose headband assembly that gave it away. I noticed it straight away when I opened the D600s for the first time. Thus, due to this, I couldn’t give the D600s a higher rating. I could have been even more harsh on them, but I feel that I could have been unfortunate in my pair of headphones. Thus I would refuse to give it a lower rating (of 4/10 for its build quality) and similarly refuse to give it a 9/10 build quality rating (which is something I would have given, if it wasn’t for the defect). Overall, the build quality wasn’t supposed to end up like this – but I’m partially glad, as a reviewer I was able to notice this problem. As if I were a consumer I wouldn’t have been pleased if I had previously read this review and then purchased the D600, only to find it faulty. Now, you’ve been warned, let’s put it that way! The looks are very subjective really. I personally don’t like them at all, especially when compared to the older range which gave off a classic look. The “plastic look” of the headphones, doesn’t really give me an impression of “premium quality” headphones. With that said, I can appreciate the design and thought that’s gone behind the D600’s and thus can’t critique it that much, as it is very subjective. 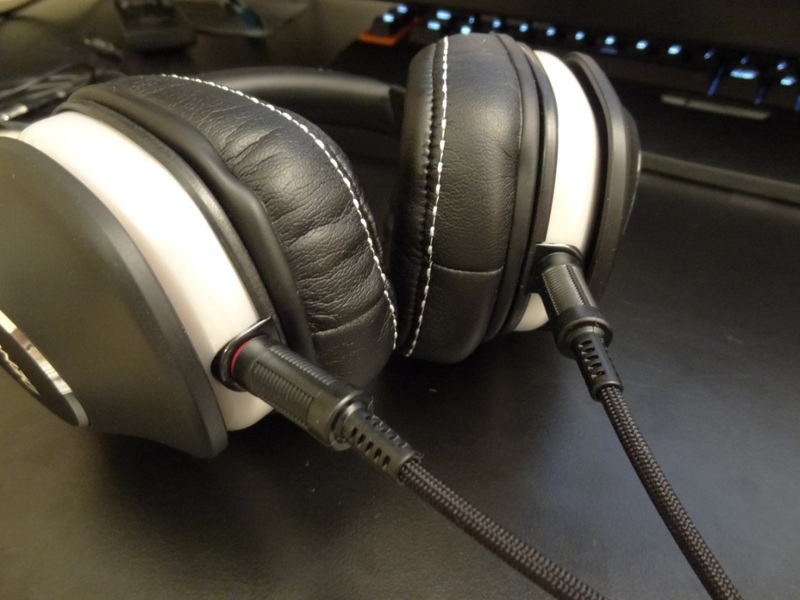 What I loved about the design and looks of the headphones was the fact that there was white stitching on the ear pads and at the top of the headband. This definitely added a nice touch to them, as they looked more elegant and less bland. The actual construction of the headphones and the looks of it, remind me of something out of film Tron. Where the D401’s would have been a headphones that probably were inspired by the film itself. 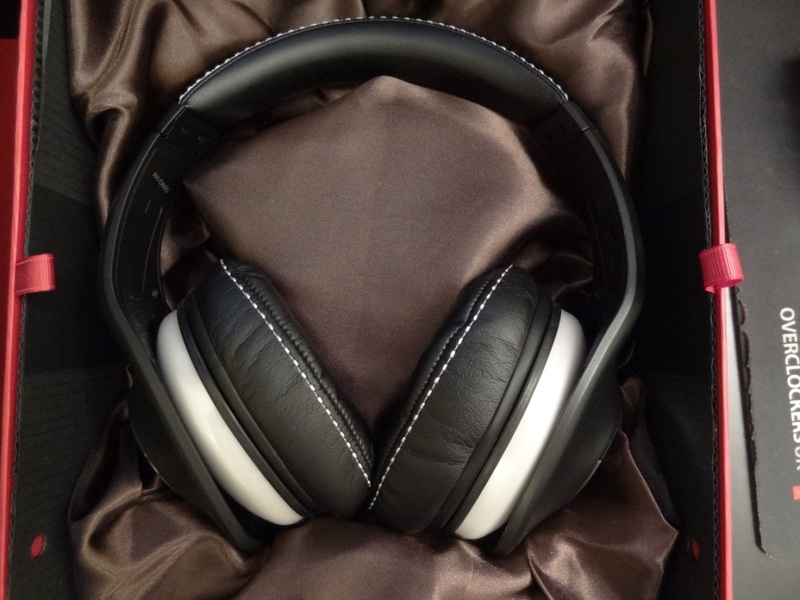 The D600’s are a space-age looking headphone, that would appeal to someone that’s into sleek looking designs. Again, it isn’t something I would personally prefer myself – I would pick the old Denon line any day of the week, but that’s purely subjective. The isolation of these had improved since the older line of headphones. 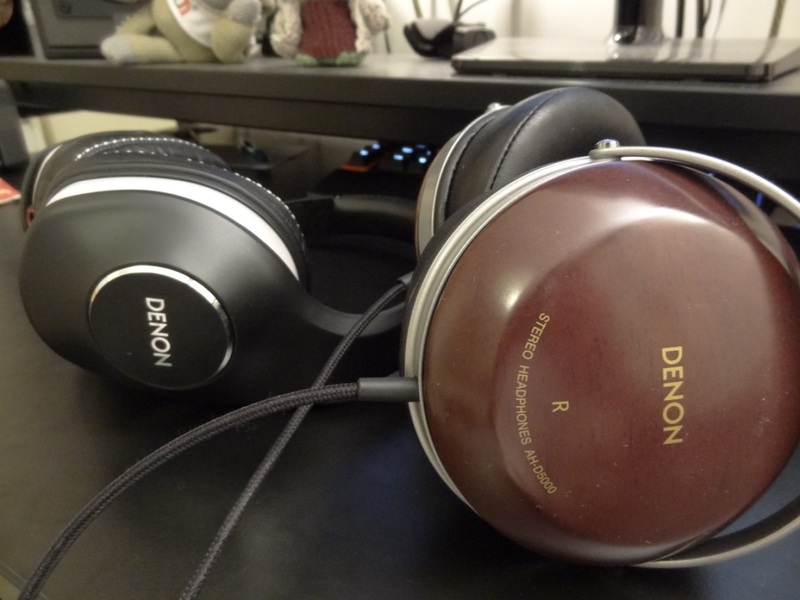 However, were on-par with my modded Denon’s that had the Lawton Audio Pads on them. 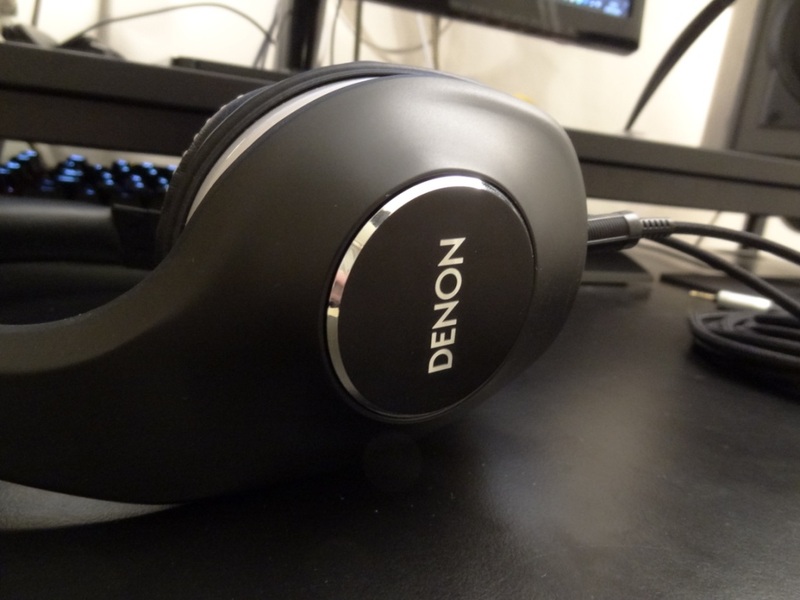 Thus, it’s nice to see Denon adding a bit more padding on their headphones and thus giving users a slightly better isolation. The comfort of these was incredibly good. Most of the time, I hardly felt them on my head and the added padding from the top of the headband assembly was greatly beneficial. However, I did find the actual ear pads a little oddly shaped. As I have relatively big ears, oval shaped pads are always a plus for me, just like in the old line. The D600’s on the other hand, had a more of a rectangular shape. Which was great for length, but not width. Thus, I couldn’t give the D600s a full 10/10 rating for comfort, as despite being quite pleasing on my head, I didn’t find it to be perfect, at least not for me. The sound quality is something that really intrigued me. As this would make or break Denon’s reputation. The old line had received so much praise in the past and rightfully so. The new line thus had a lot to live-up to. Especially seeing as the D600’s drivers were no longer made by Fostex, but in-house by Denon themselves. The overall sound signature had actually changed, some might argue for the best and others for the worst. 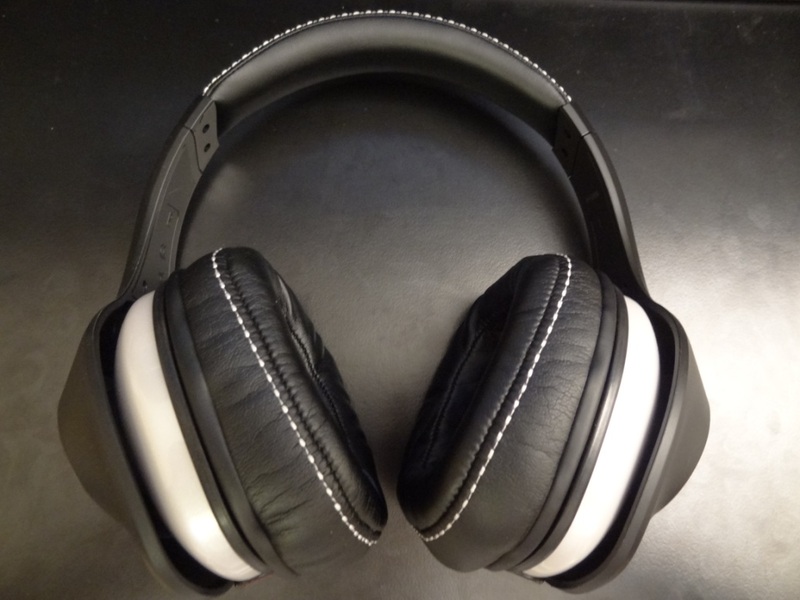 Denon was well known for making headphones that were bass-orientated. The D600’s tried to stay relatively close to this philosophy, however had a greater emphasis on the mids. The original D2000’s would have a run for their money, however my modded Denon’s weren’t really effected as much. I had previously given the D2000 a 9/10 rating and the modded ones a 10/10 rating for their lows. The D600’s unfortunately feel short in their extension. They still had this warm-sound to them, thus having a decent mid-bass slam, however their sub-bass, something I really loved in the older Denon range, wasn’t really as present as it was before. Don’t get me wrong, the D600’s are excellent in producing low-end notes, but not quite at that level I had experienced in the previous line. It’s a shame, but I can see why Denon did it – in order to achieve a more “balanced” sound. However, I feel they took that unique attribute from the old Denon line. I had previously given the D2000 a 8/10 rating and the modded ones a 8.5/10 rating for their mids. The mids were actually improved, both against the modded and stock version of the D2000. Due to a reduced emphasis of the lows, the mids were able to shine through much more. Thus the D600’s had a great mid range response. It wasn’t quite perfect, but it was very close in achieving a perfect score. I had previously given the D2000 a 9/10 rating and the modded ones a 9/10 rating for their highs. The highs on the other hand were unfortunately rolled off. There was a lack of extension and detail present in the D600’s – something I felt was very disappointing as I was expecting the highs to be relatively untouched. There just wasn’t that clean extension at the top end, and instead, you got a sibilant approach to the highs. Almost as if it was unnaturally bumped up and then cut off. Overall the mids and highs were both an improvement and disappointment. Despite admiring the added mid-range, I was disappointed to find a lack of this extension in the highs. I had previously given the D2000 a 9/10 rating and the modded ones a 9.5/10 rating for their soundstage. The soundstage had also dipped slightly, and I feel this has to do with the materials used in the headphone’s build. The plastic reminded me of the original Denon’s, but the width wasn’t quite up to par. Whereas my modded Denon’s had a more meaty sound to them, with a great wooden decay. Overall, the D600’s are an excellent set of headphones, especially at their given price. However, for previous owners of the D2000/5000 line, you might be a little disappointed. Granted the sound signature is still similar, but it isn’t quite the same Denon sound, that I’ve been used to for some years. 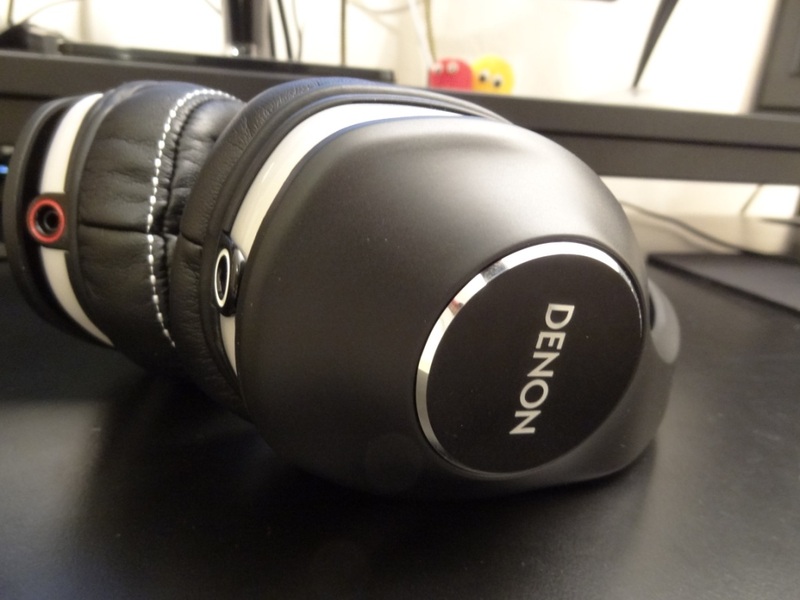 Thus I think Denon did a decent job with their latest line of headphones. They’re certainly still excellent sounding headphones, but they seem to have lost that unique sound that most people bought them for. If I really wanted mids I would spend the same amount of money on a set of AKG K545’s. The bass has lost that extension and the highs as come down a notch – meaning I would still recommend the D600’s but would definitely look elsewhere as well, before making the final purchase. With the old line of headphones though, I would thoroughly recommend them for anyone looking for headphones with some serious low-end slam, whilst conserving an excellent mid range. 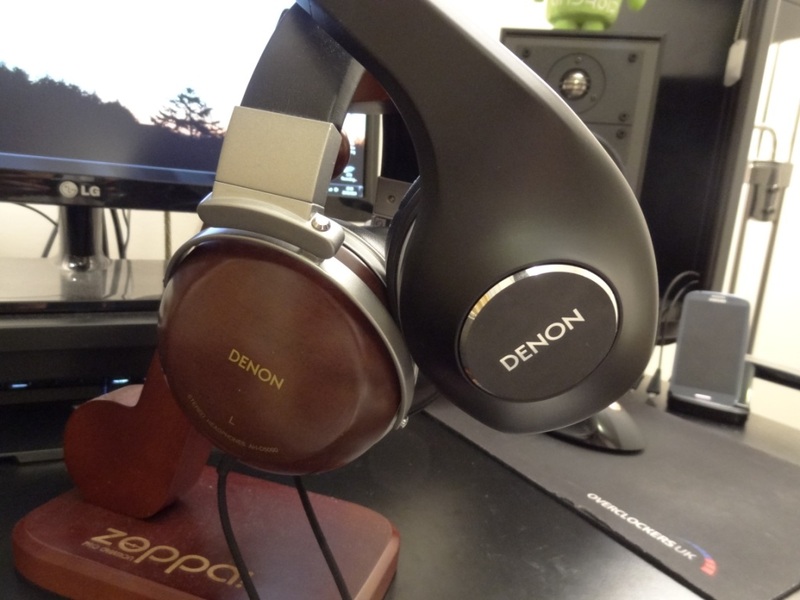 Although not perfect and not as good as other headphones I’ve heard, the Denon’s would have never been on my list if I was only listening to classical music or wanted a neutral sounding headphone. Now with the D600, I’m not sure who it fits best. It’s a little bit of a mixed bag really. 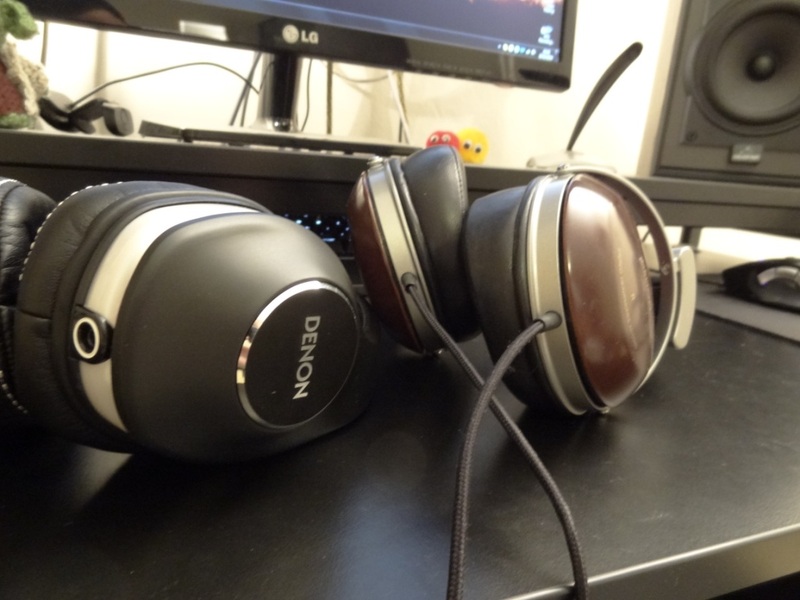 My honest recommendation would be to still look for old pairs of the old Denon line – if they aren’t available, and you want to get as close as you can to the old sound signature, then the D600 would be my go-to headphone. That’s my real problem with the D600’s – instead of building on what they already had, they tried to change the sound signature a little bit and thus tried reaching to the same level of the old line. It feels a little bit like certain car manufacturers. Instead of starting from the top-end performance and working themselves down, they’ve started from the bottom and tried to achieve a certain level of performance. This entry was posted in Audio Reviews and tagged AH-D2000, AH-D600, Comparison, D600, Denon, Denon D600, Headphones, Review on April 21, 2014 by TotallydubbedHD.